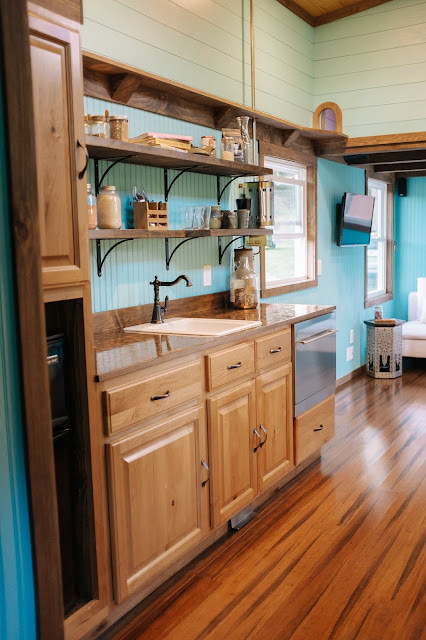 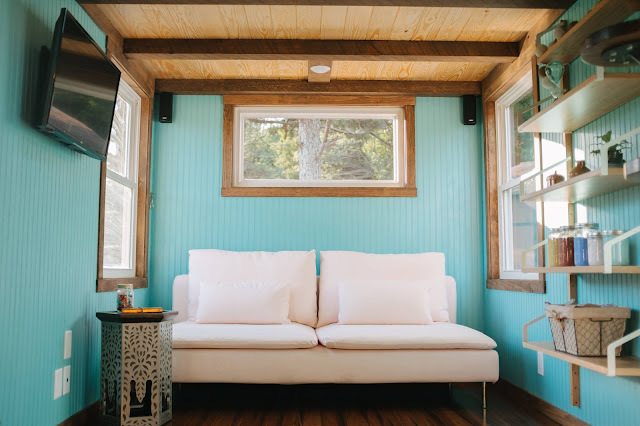 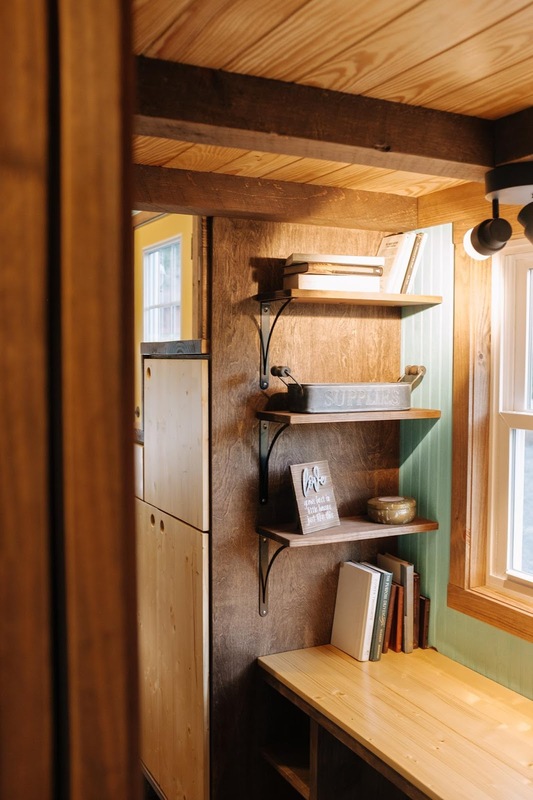 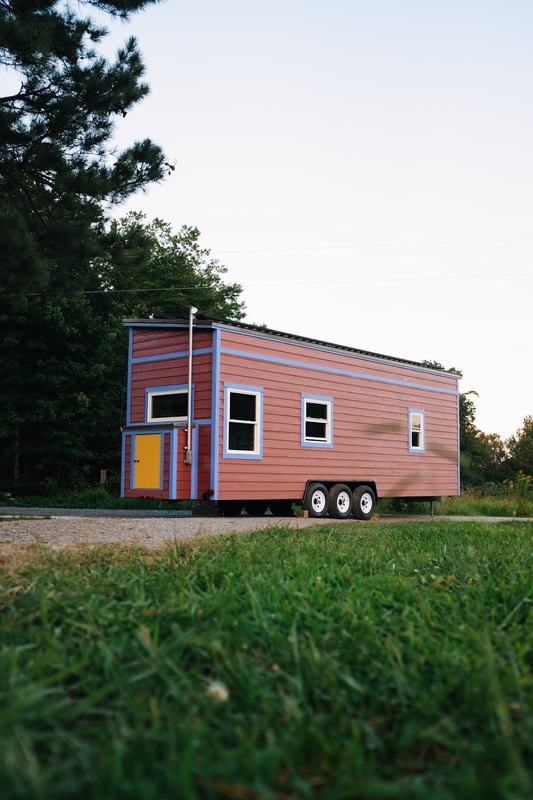 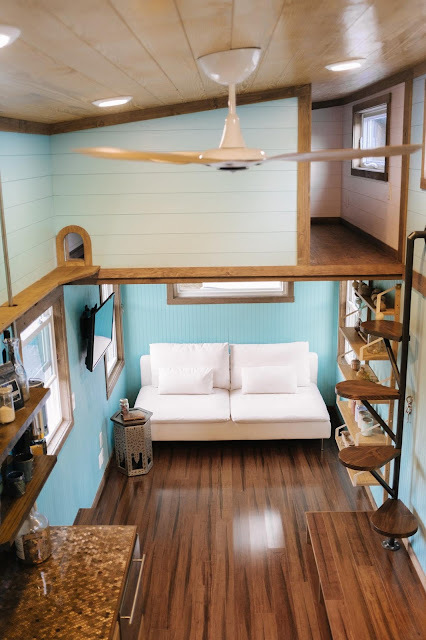 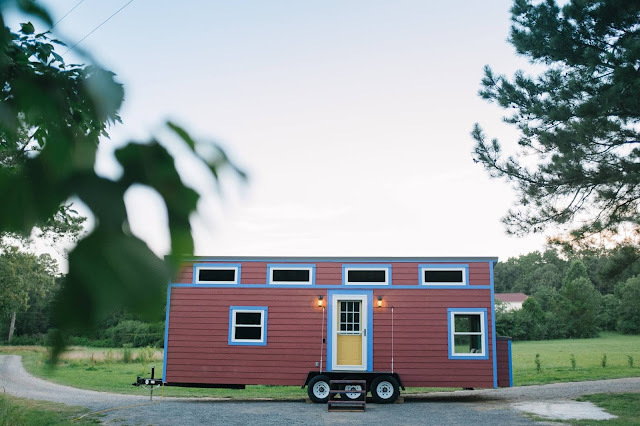 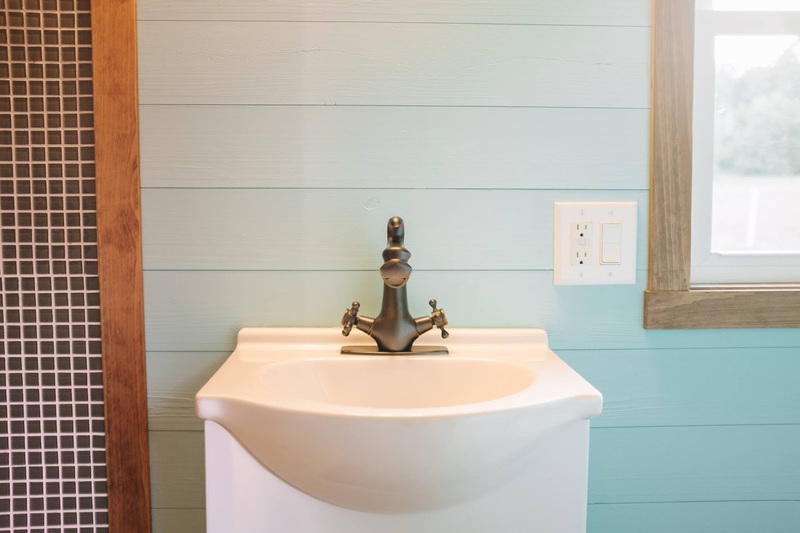 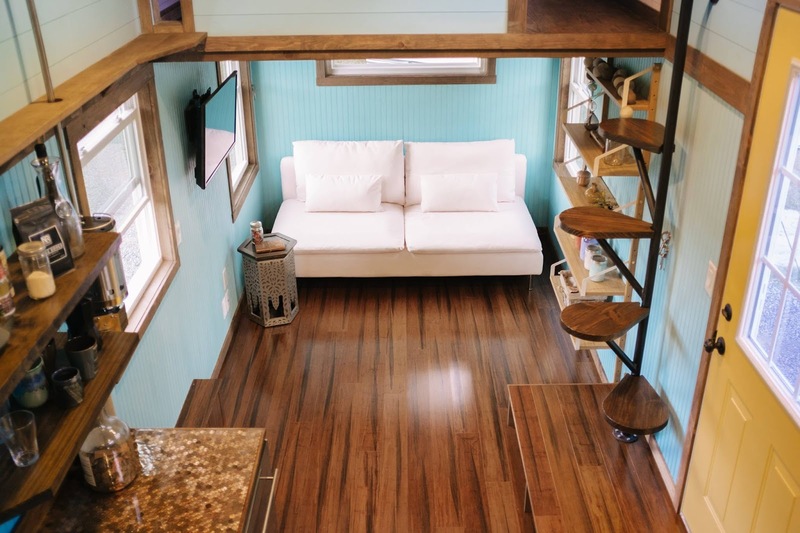 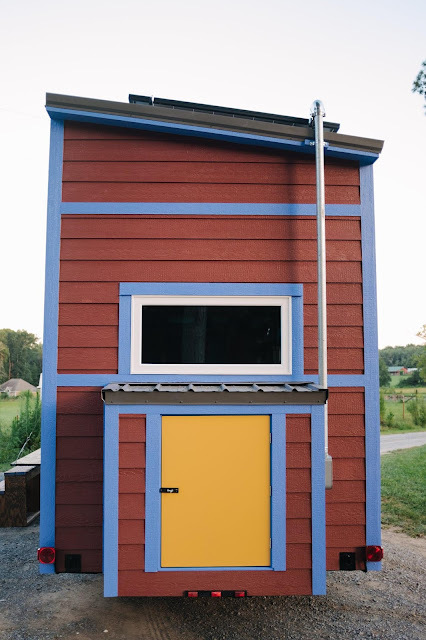 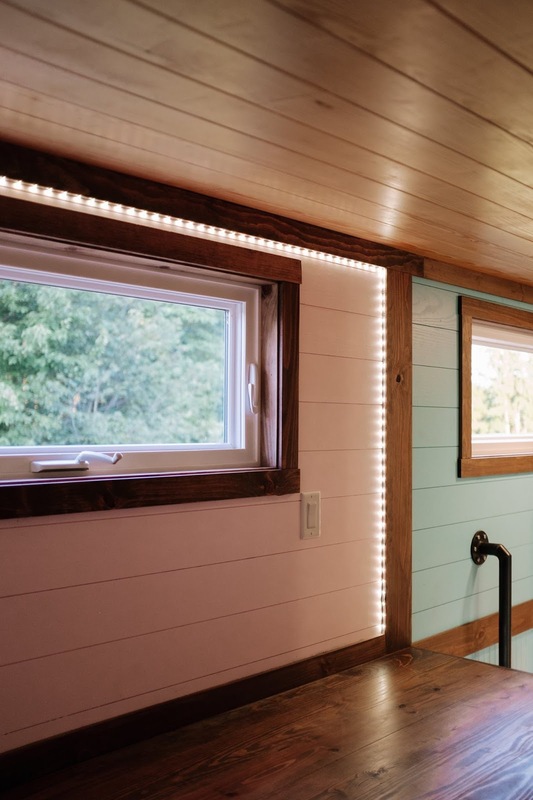 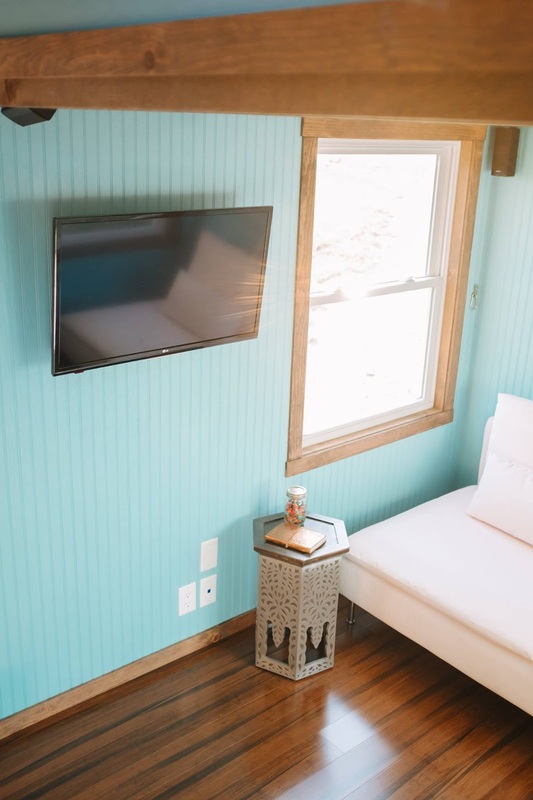 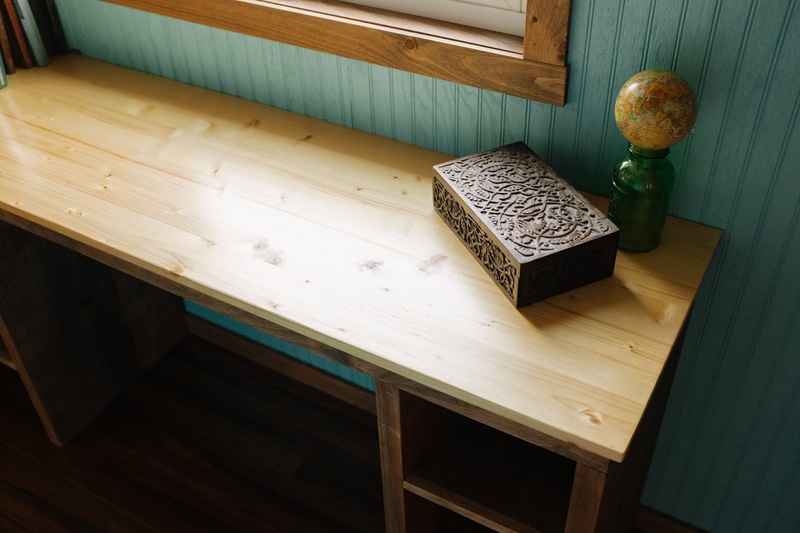 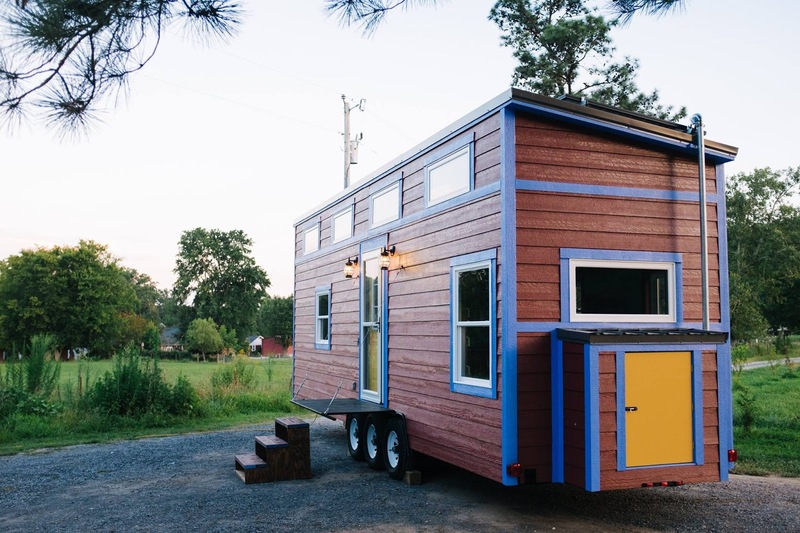 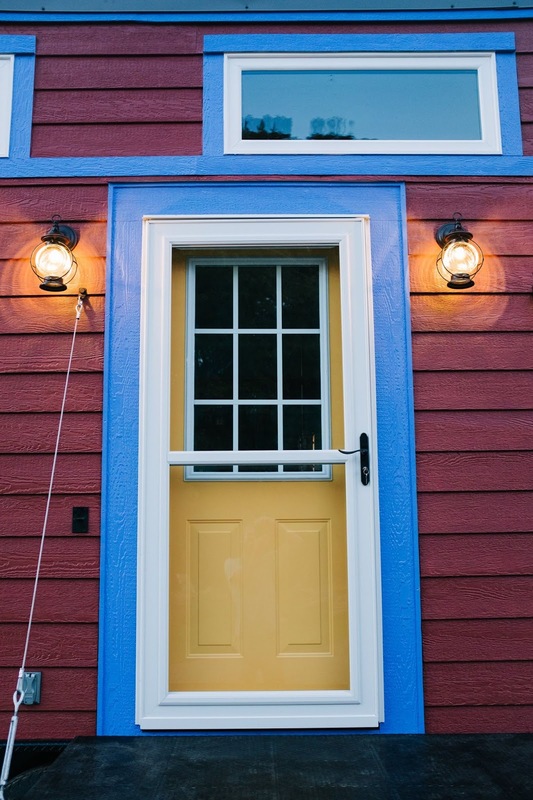 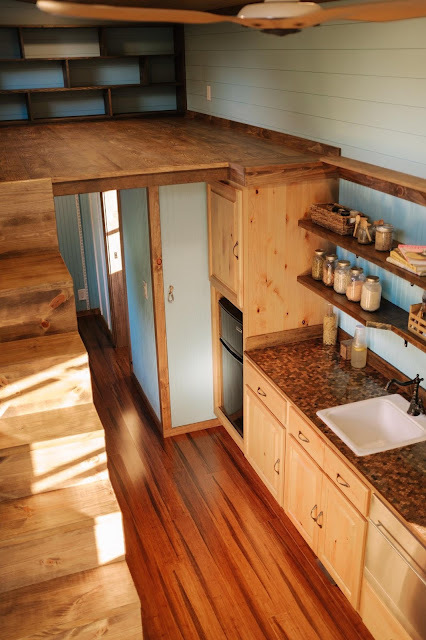 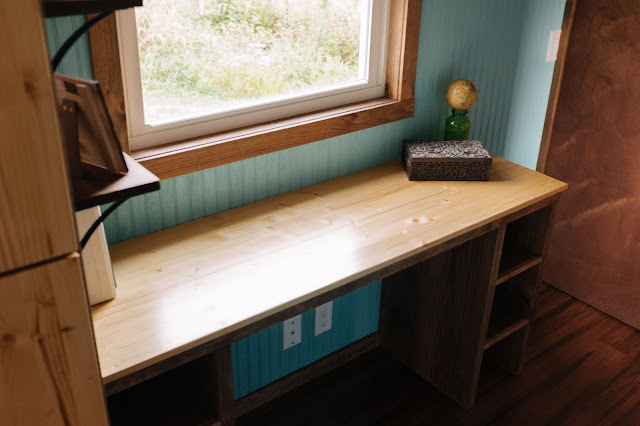 Check out the newest tiny house from Wind River Tiny Homes: the Big Whimsy! This one's a custom build for a client, and one of the biggest by the company at 30 feet long. 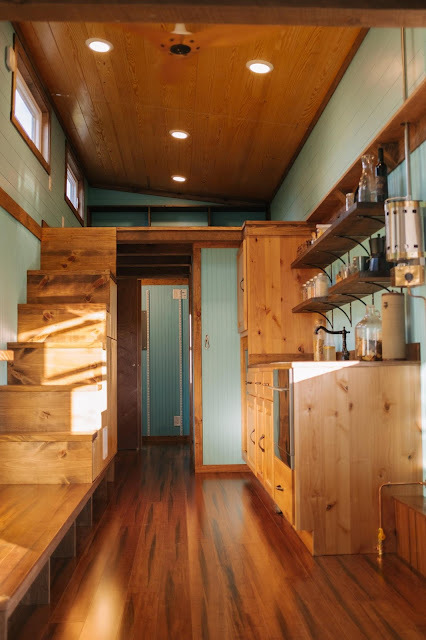 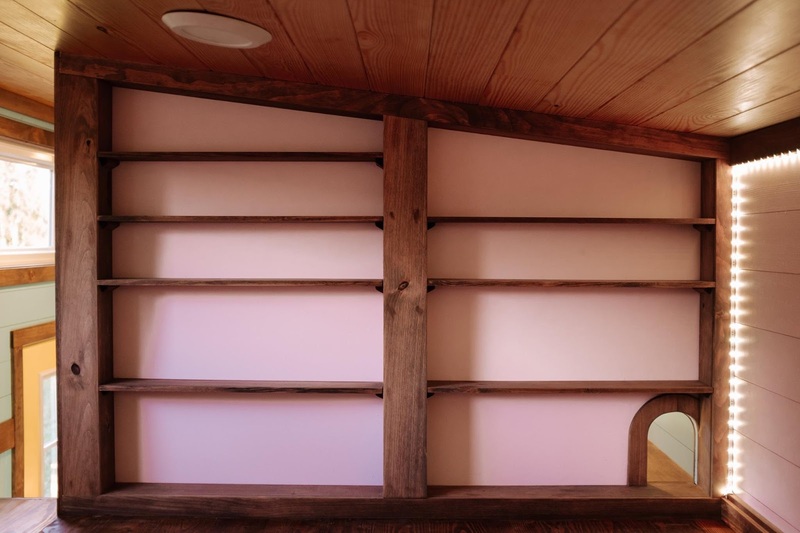 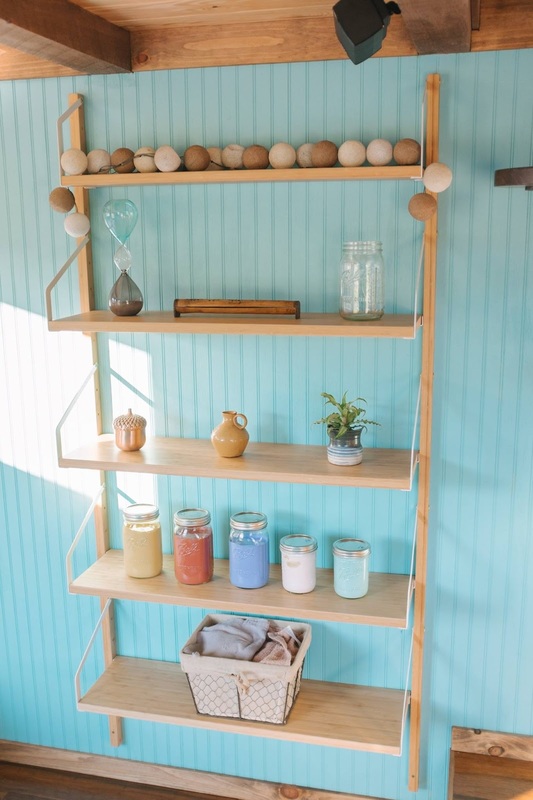 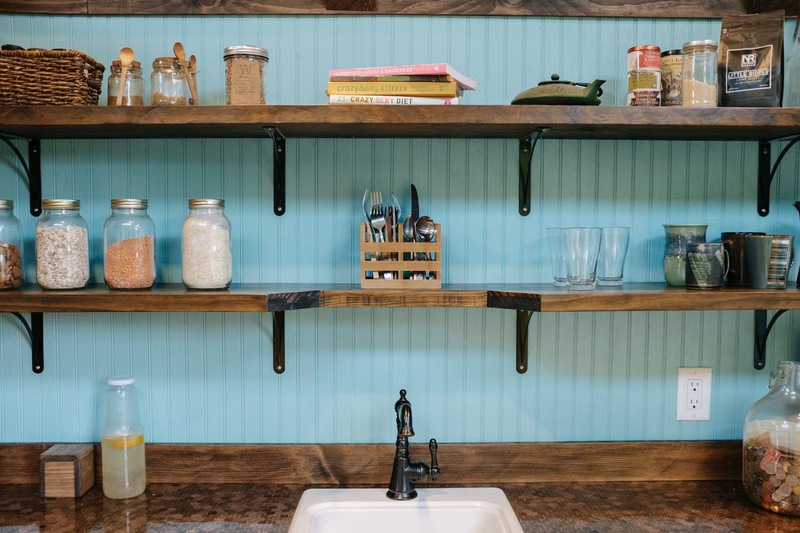 Its interior features two separate loft bedrooms, an office space with a built-in desk, a roomy living room, a walk-in closet on the main floor, a full kitchen, and bright, whimsical colors throughout the space. 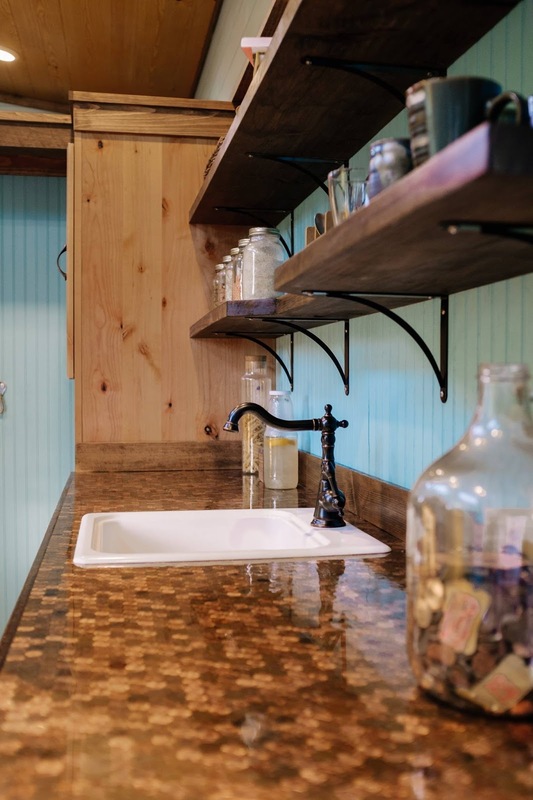 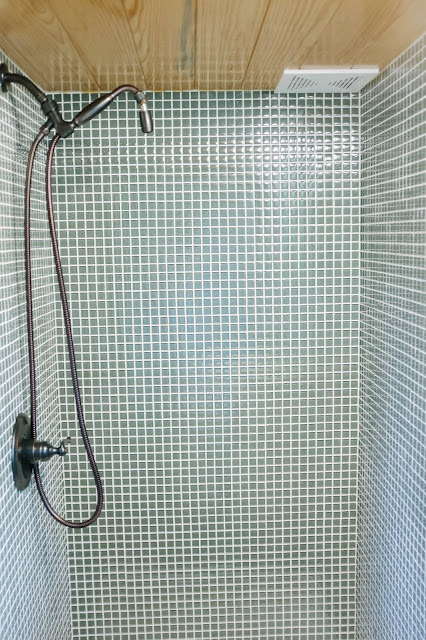 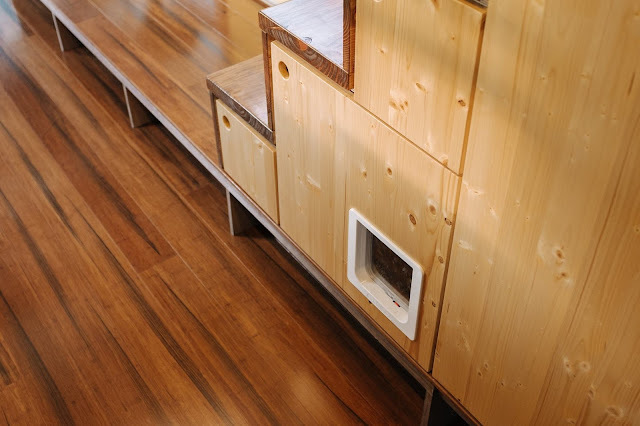 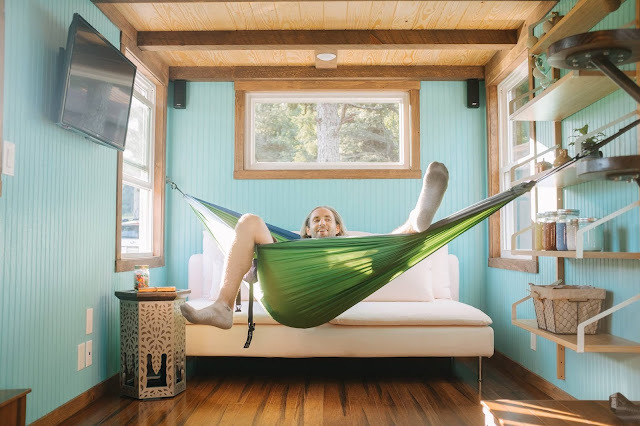 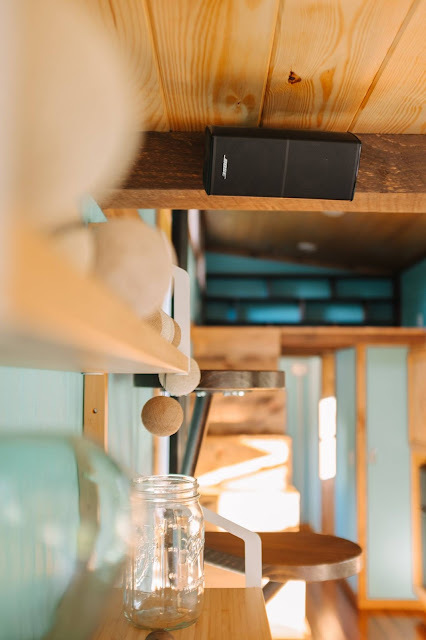 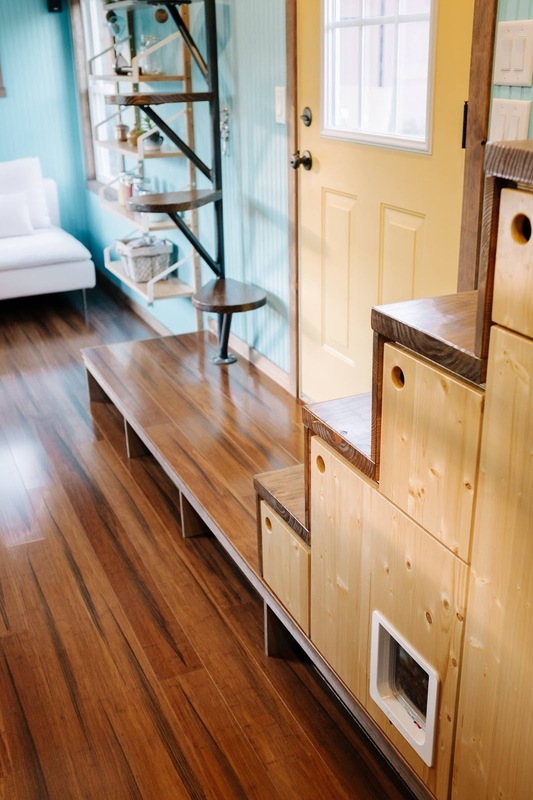 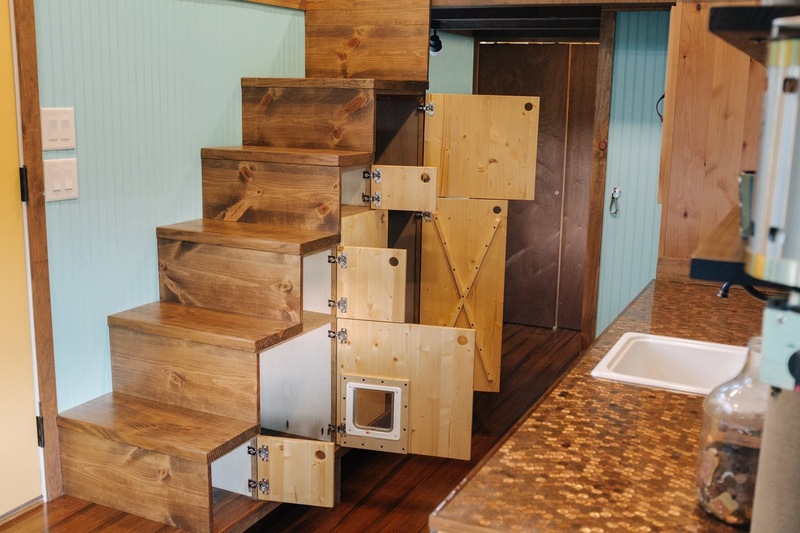 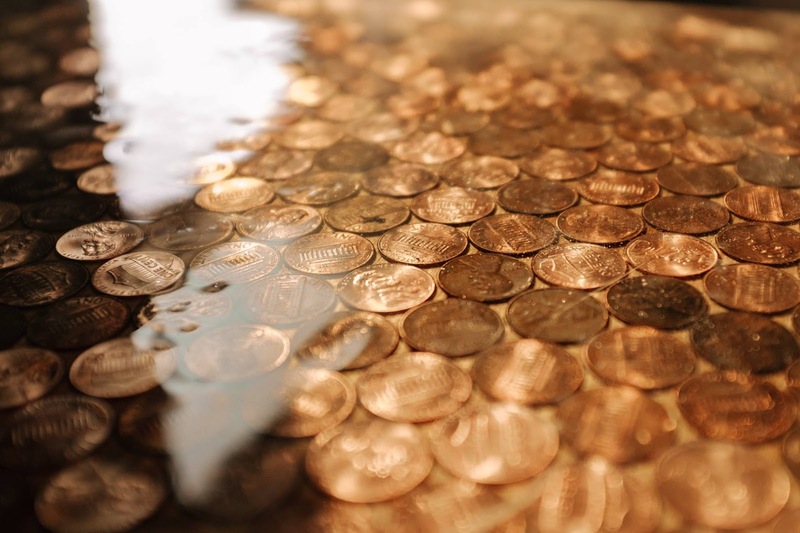 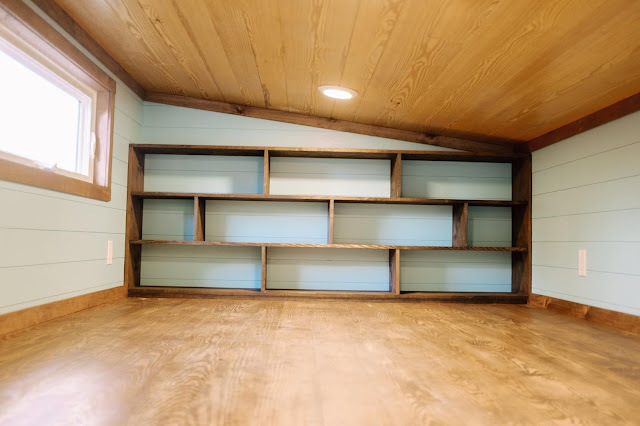 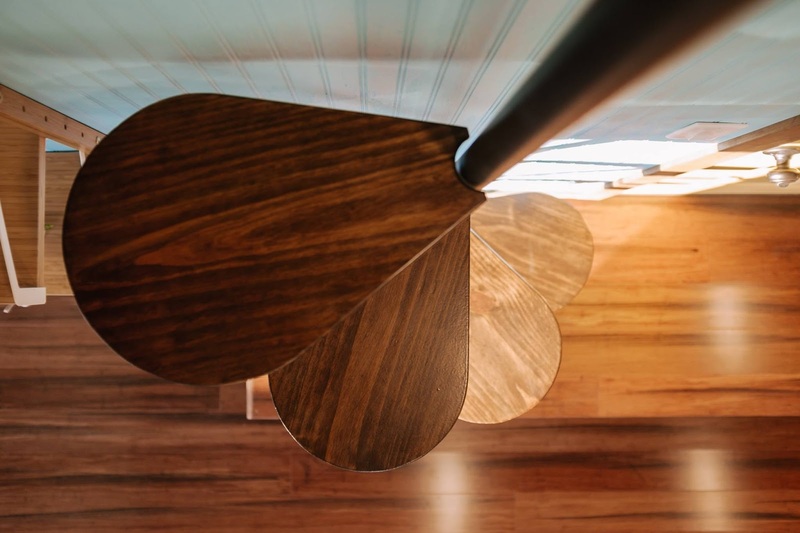 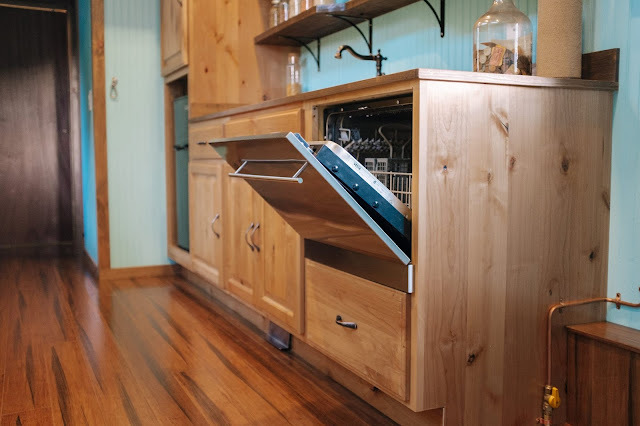 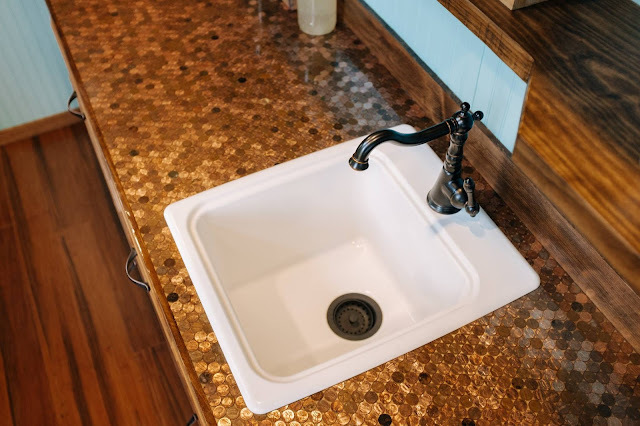 Some of the Big Whimsy's cooler features include anchors to string up a hammock in the living room, a Bose surround sound system, cat-friendly features, and a kitchen counter composed of around 3,000 pennies! 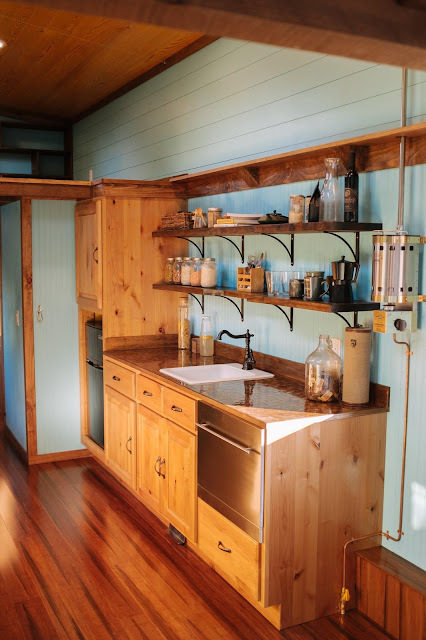 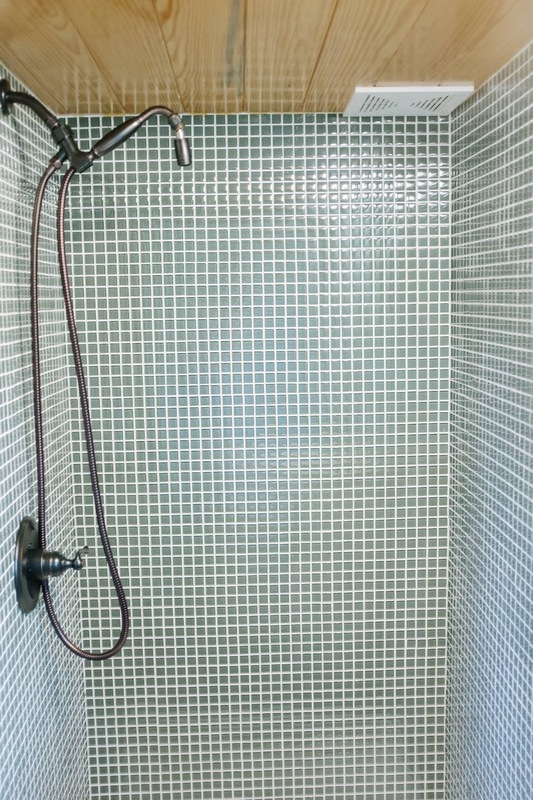 The house is also totally off-grid! 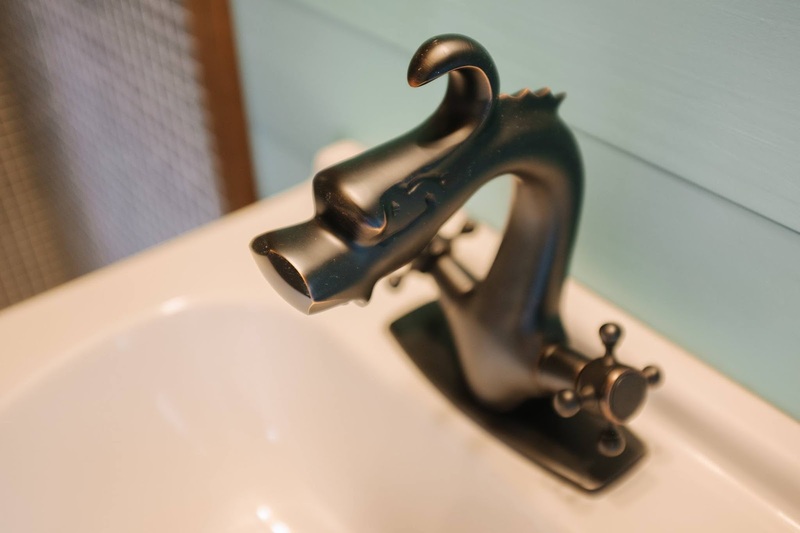 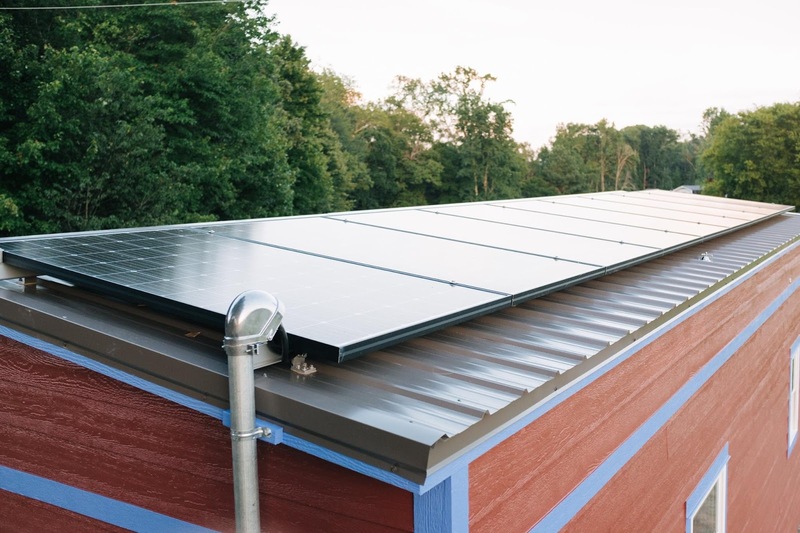 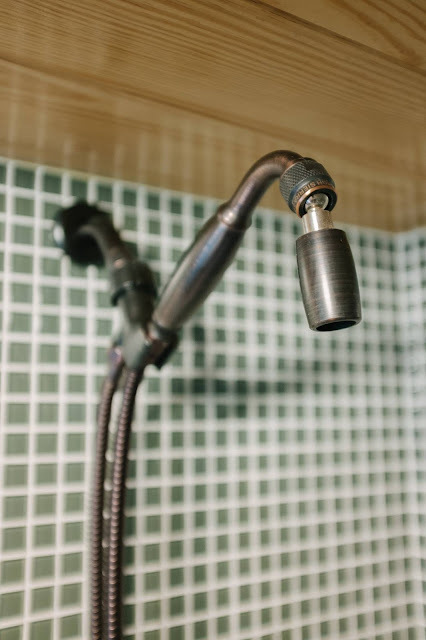 Wind River installed heating and cooking appliances that are all propane-power, a composting toilet in the bathroom, and 9 solar panels on the roof that feed into 4 battery banks! 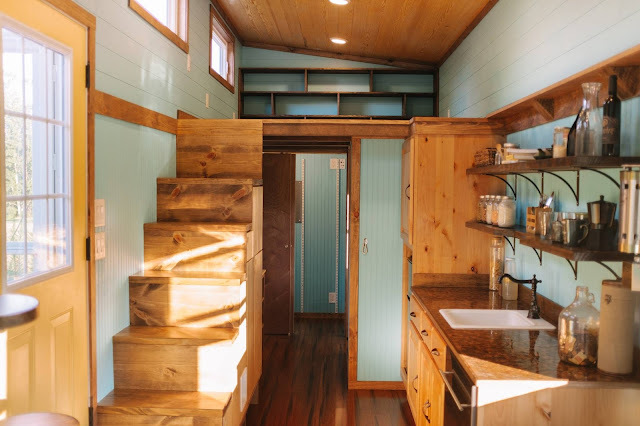 For more info, be sure to contact Wind River Tiny Homes here!